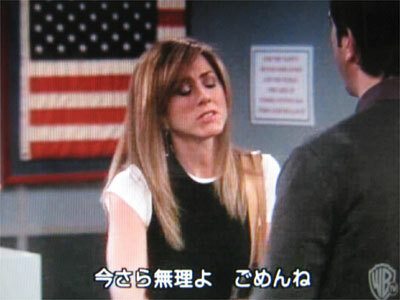 1.Rachel: I can't do this right now, I'm sorry. I'm sorry. 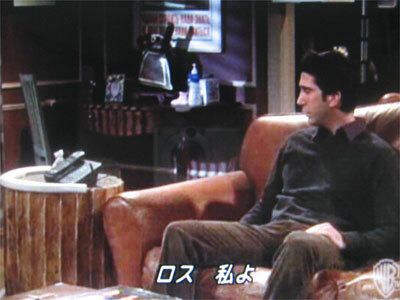 2.Rachel: (on the answering machine) Ross, hi. It's me. Rachel: (on the answering machine) Ross, hi. It's me. I just got back on the plane. And I just feel awful. That is so not how I wanted things to end with us. It's just that I wasn't expecting to see you, and all of a sudden you're there and saying these things... And... And now I'm just sitting here and thinking of all the stuff I should have said, and I didn't. I mean, I didn't even get to tell you that I love you too. Because of course I do. I love you. I love you. I love you. What am I doing? I love you! Oh, I've gotta see you. I've gotta get off this plane. 3.Rachel: (standing behind Ross) I got off the plane.